This guitar modeling processor is hot-rodded from the engine out. 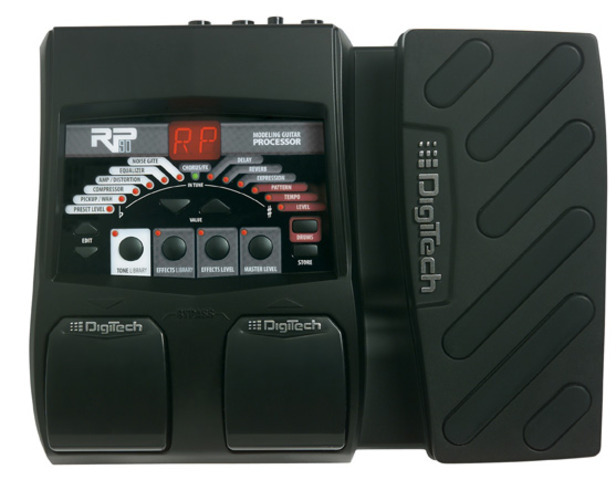 Powered by the new AudioDNA2™ processor, the RP90 features your favorite boutique models including wah, stompboxes, amplifiers, cabinets, modulation effects, delays, reverbs, and special effects like DigiTech's Whammy™. Aside from an arsenal of models to choose from, the RP90 features tone and effect libraries allowing you to quickly program sounds with ease. 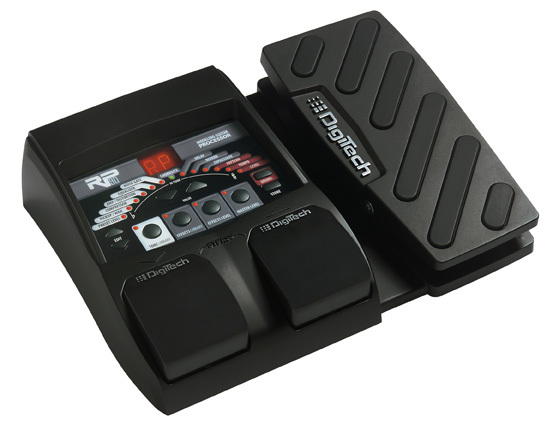 Completing the RP90 are 100 aggressive sounding presets that appeal to today's modern players. My expression pedal does not seem to respond correctly. What can I do? How do I assign WAH to my expression pedal? 1. Press the Edit up button until the PICKUP/WAH LED lights up. 2. Press the Value up button to select Cb Dunlop® Cry Baby TM wah model. 3. Press the Edit up button until the EXPRESSION LED lights up. How do I reset the RP90? ATTENTION: Performing this function will erase all user-programmed data. All such data will be lost forever! Be sure you want to erase the memory and return the RP90 to its factory default state before continuing with this procedure. 1. Press and hold the Store button while powering up the RP90. 2. When the display prompts you with FR, release the Store button. 3. Press and hold the Store button for 3 seconds until RS appears in the display and release. The Factory Reset procedure takes approximately 10 seconds. 4. Once the factory reset has finished you will need to calibrate the Expression Pedal. Follow steps 2-4 on the next page to complete calibration. DigiTech, Production Modeling, Grunge, Death Metal, DOD, DigiTech Whammy, Multi-Chorus, Ya Ya, Johnson Amplification and AudioDNA2 are trademarks of Harman International Industries, Incorporated in the U.S. and other countries. Fender Tweed Deluxe, Fender Blackface Twin Reverb, Fender Twin Reverb, Marshall Super Lead, Marshall Slant, Marshall Master Volume, Marshall Straight, Vox AC30, Mesa Boogie, Dunlop Cry Baby, Vox Clyde McCoy Wah, Ibanez Tube Screamer, Boss DS-1, Electro-Harmonix Big Muff are products of DigiTech’s competitors and trademarks of their respective companies in the U.S. and other countries and are not associated or affiliated with DigiTech or Harman International Industries, Incorporated. ©2007 Harman International Industries, Inc. All Rights Reserved.